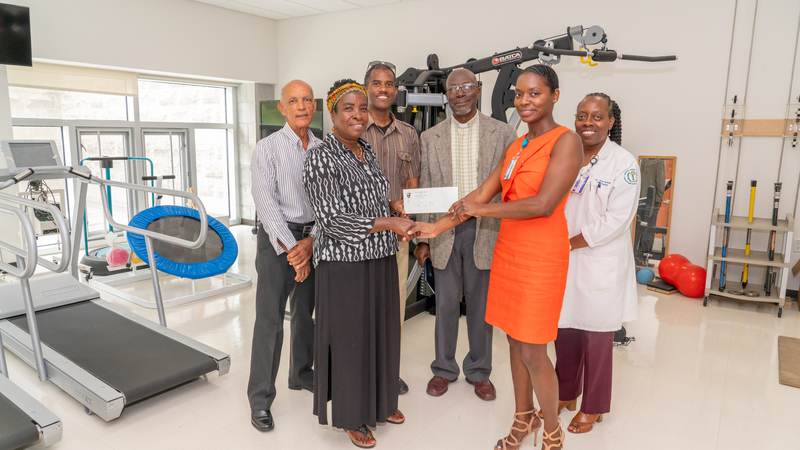 The Rehabilitation Services (Physiotherapy) Unit of the BVI Health Services Authority has received a piece of exercise equipment as a love-offering from the Methodist Church. The members of the Methodist Church including Reverend Manners, Circuit Stewards Ms. Velma Chung and Mr. Andrew St. Hilaire, and Property Steward Mr. Milton Creque also presented the BVIHSA, Friends of Peebles with a check for $4,200 which covered the remaining cost of the equipment. The Peebles Hospital Physiotherapy Unit offers a wide range of rehabilitative services including physical therapy and interventions for speech, language and communicative disorders. 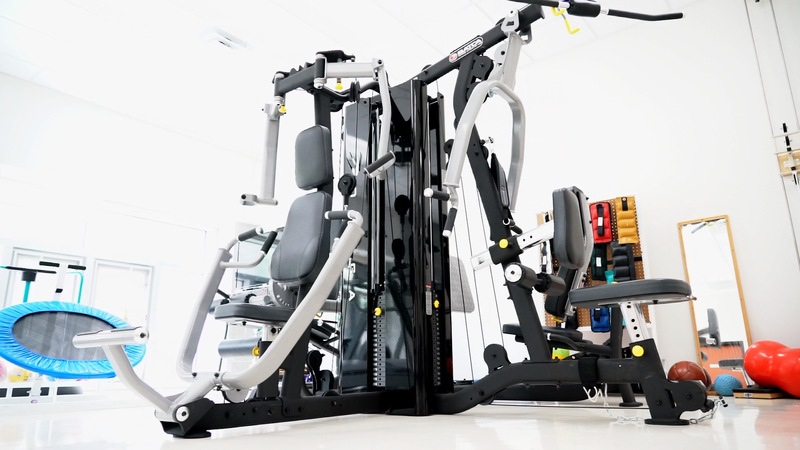 The machine donated by the church will aid in the rehabilitation of persons who have musculoskeletal or neurological problems and persons recovering from injuries. It will also support the improvement and the general wellbeing of individuals who are in need of therapeutic services. Persons interested in making donations to the authority can contact the Director of Hospital Services Mrs. Cedorene Malone-Smith at 852-7500 for more information. BVI Health Services Authority is committed to delivering excellent, compassionate, client centered healthcare across the Territory.